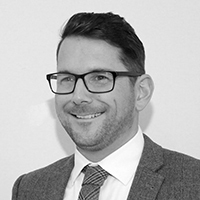 Originally from 'up north', Daniel has a wealth of knowledge in sales and marketing with a long-standing interest in properties. Dan is our valuer and is out on the road most of the time, giving people honest and professional advice about selling their homes. Dan is passionate about achieving the best possible price for our clients and with our dedicated sales team and marketing approach we believe that our service is second to none. Dan is also a registered domestic energy assessor so is able to carry out all EPCs in house.